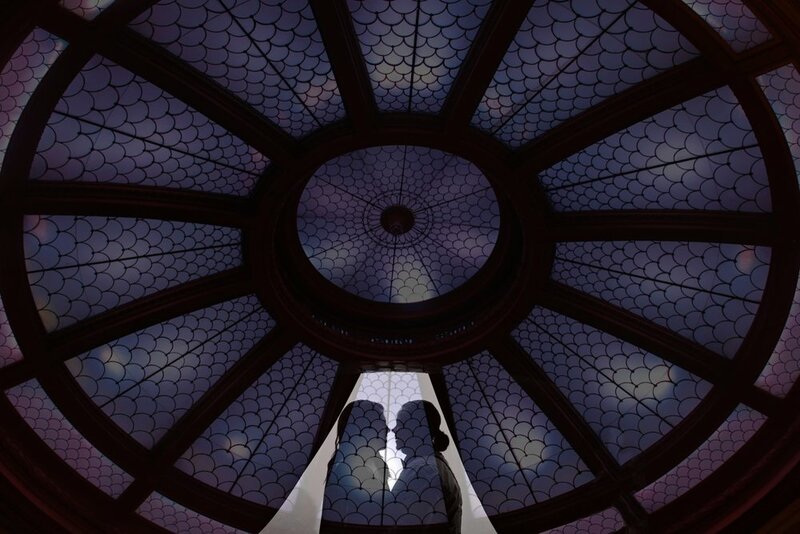 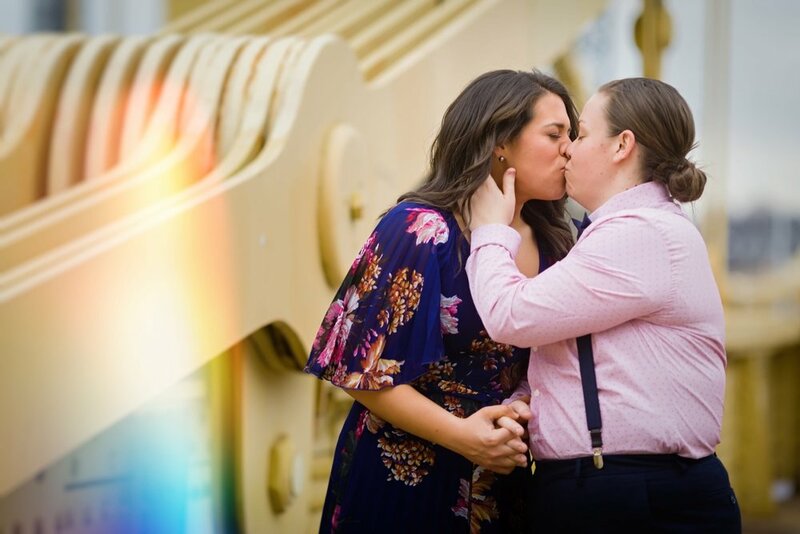 When Randi proposed to Stacey along the riverwalk at Station Square, they decided to have a small, intimate wedding with those closest to them. 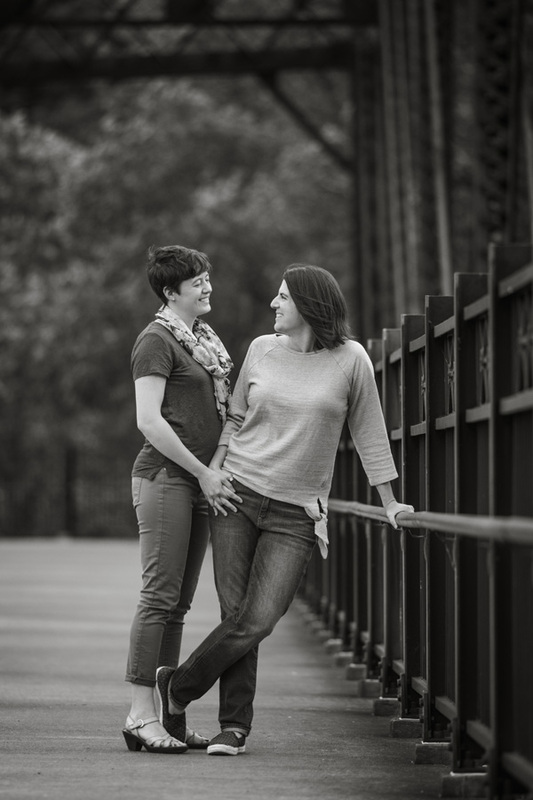 They prepared for their day at the Renaissance Hotel and had Kristen Wynn take classic bridge photographs in the gritty Strip District. 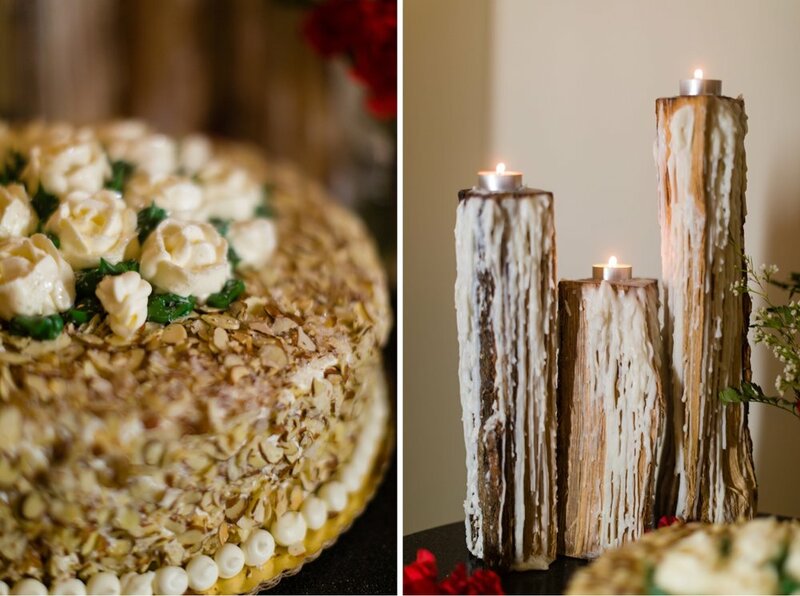 Beautiful little touches of florals, marine blues, and nature decorated Gaucho Parrilla Argentina. 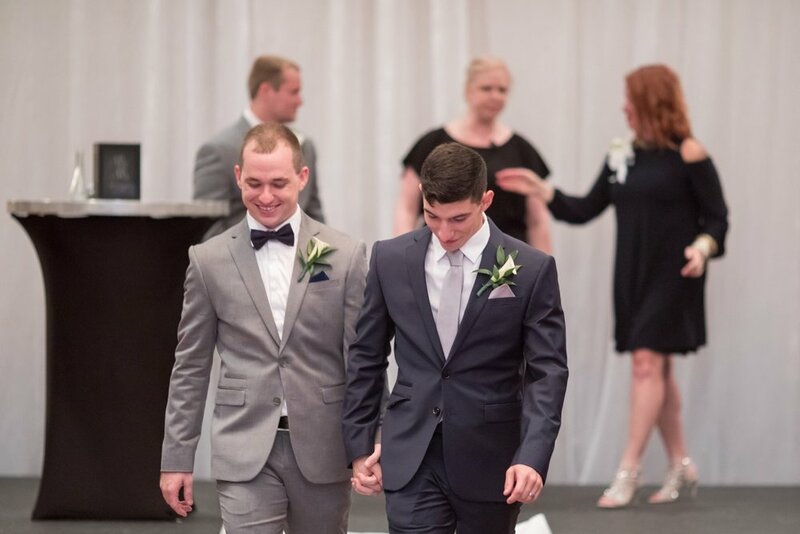 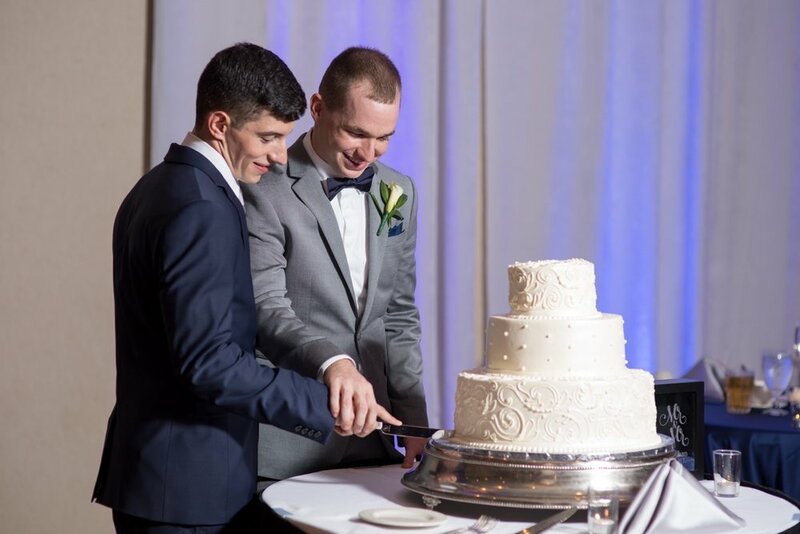 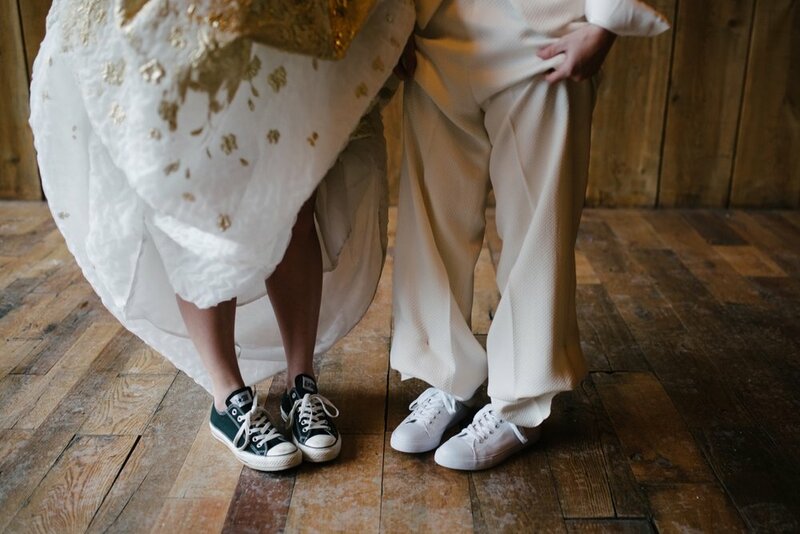 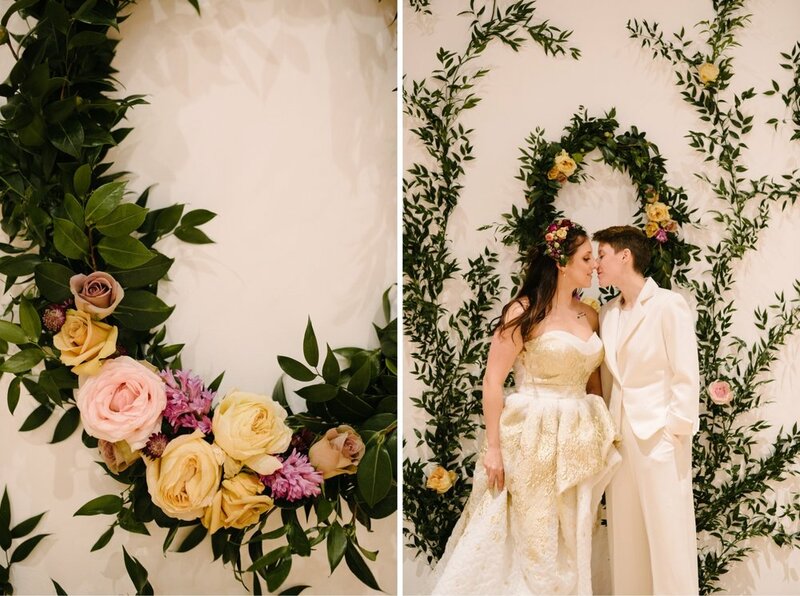 After a very simple, self-uniting ceremony, they celebrated with family and friends over dinner. 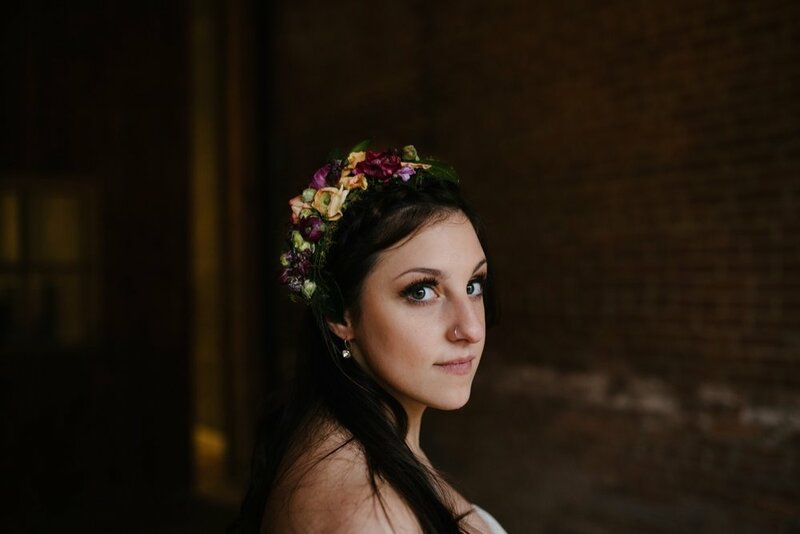 Simple and perfect. 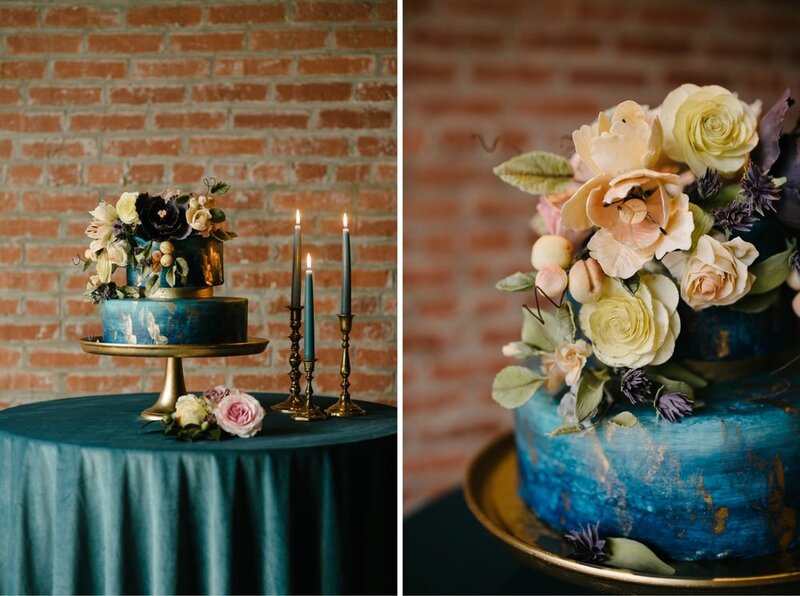 This perfectly styled shoot is set against the clean, yet industrial background of Slate. 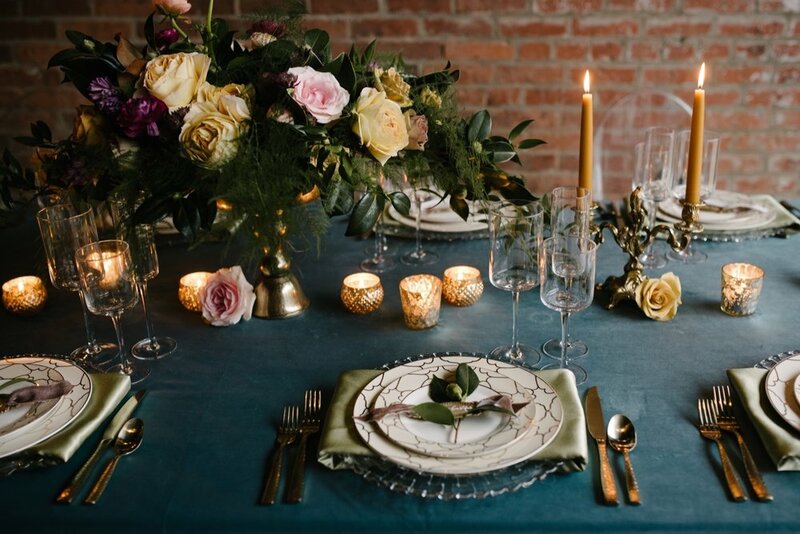 Rich tones of blues, gold, plum, mauve, and lush greenery balance out the boldness of the space to create softness. 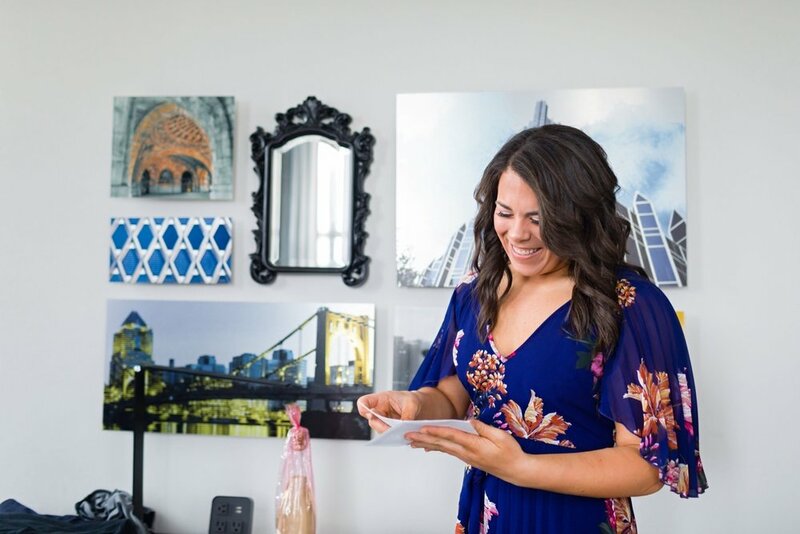 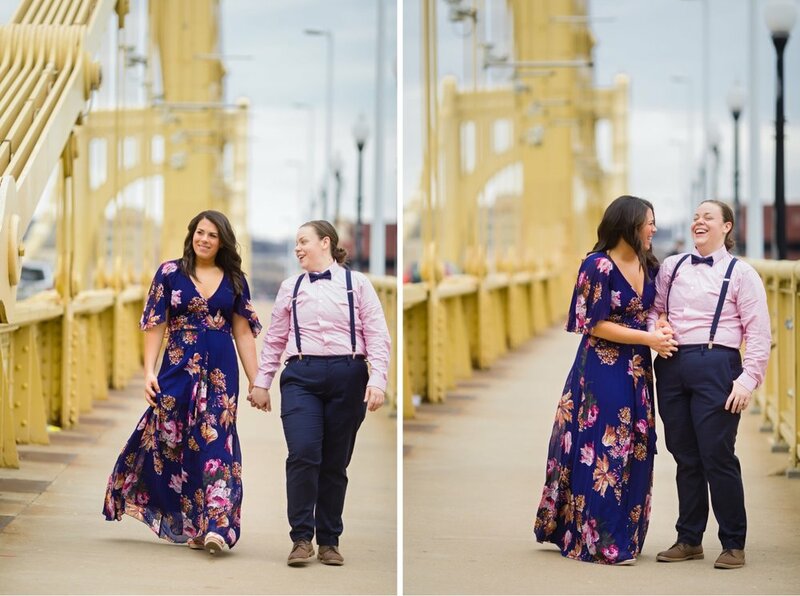 The session was perfectly executed by an amazing team of Pittsburgh weddings vendors who wanted to make sure the session revolved around bold colors, and most of all, love. 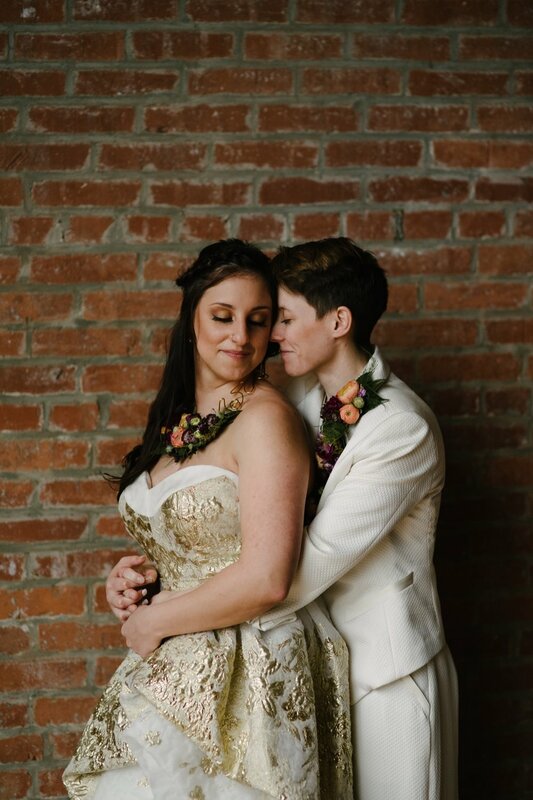 Strie sugar flowers, floral jewelry, and vintage gold name plates round out this shoot reminding us that all love is beautiful. 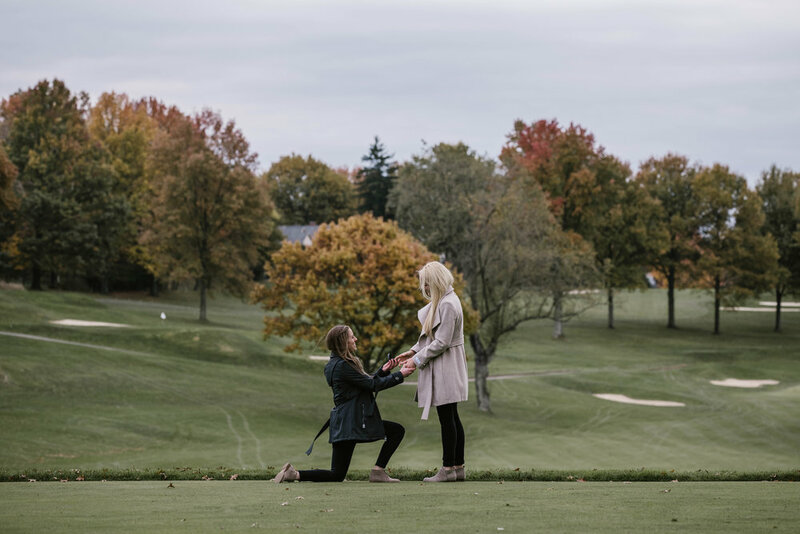 Kathryn had been carefully planning her proposal to Arianne for months from Ohio disguising it as a trip to see Kathryn's family. 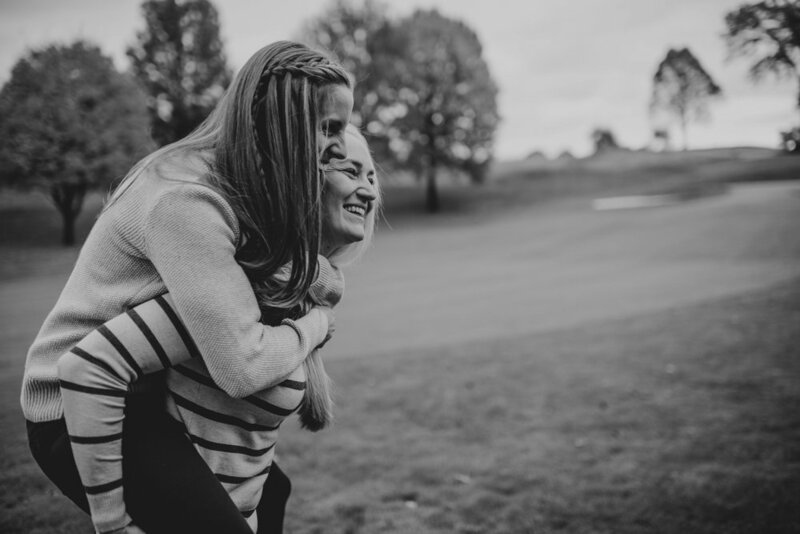 She convinced Arianne that they had to leave early for a dinner at Edgewood Country Club because she had lost something on the green the day before. 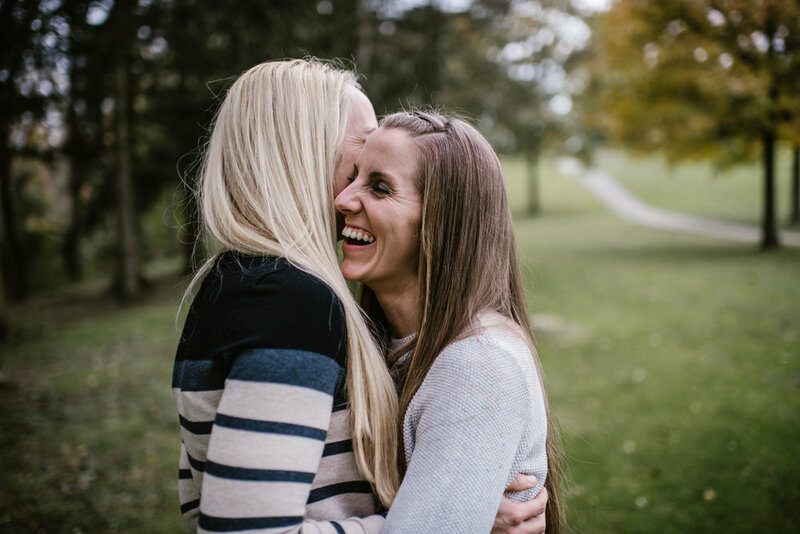 Once there, she got down on one knee to pop the question and Arianne said yes! 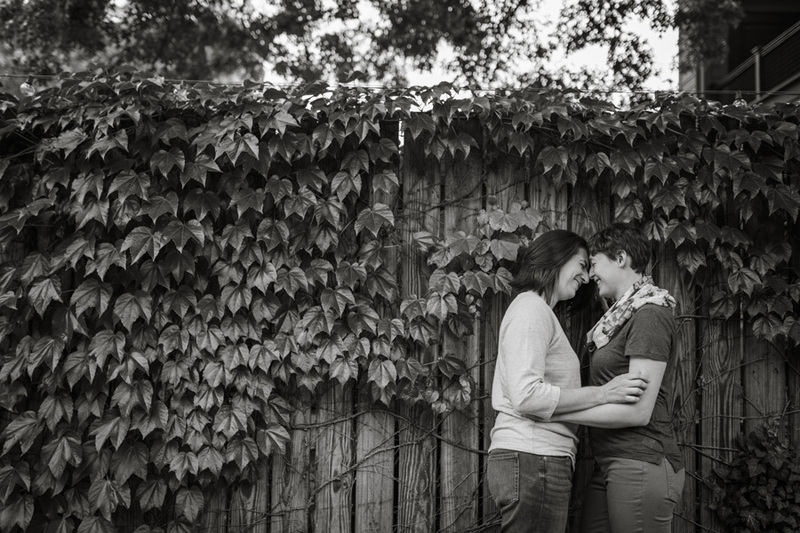 Their entire session was full of excitement, laughter, warmth, and love. 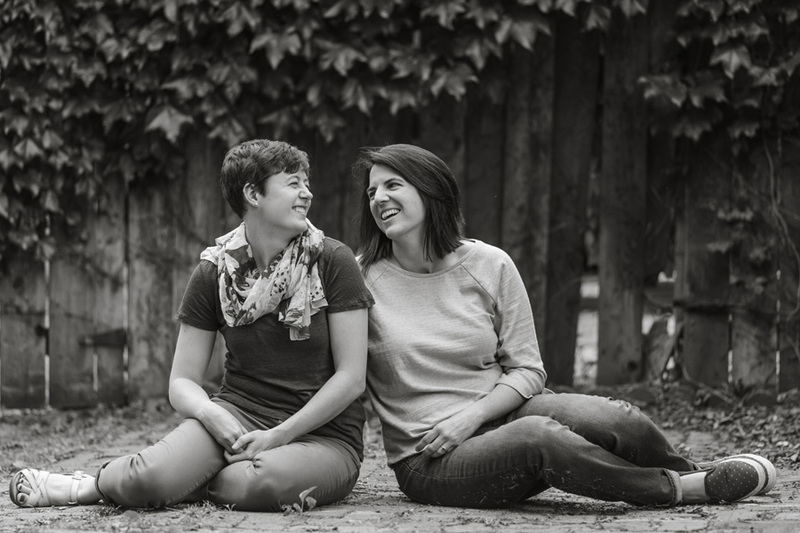 All the cuteness and fun is about to come your way from Pittsburgh photographer, Charlene Potts! 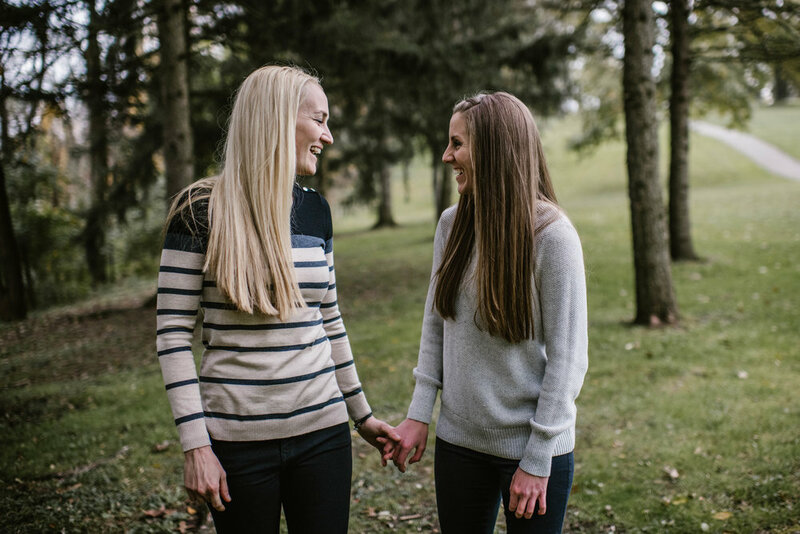 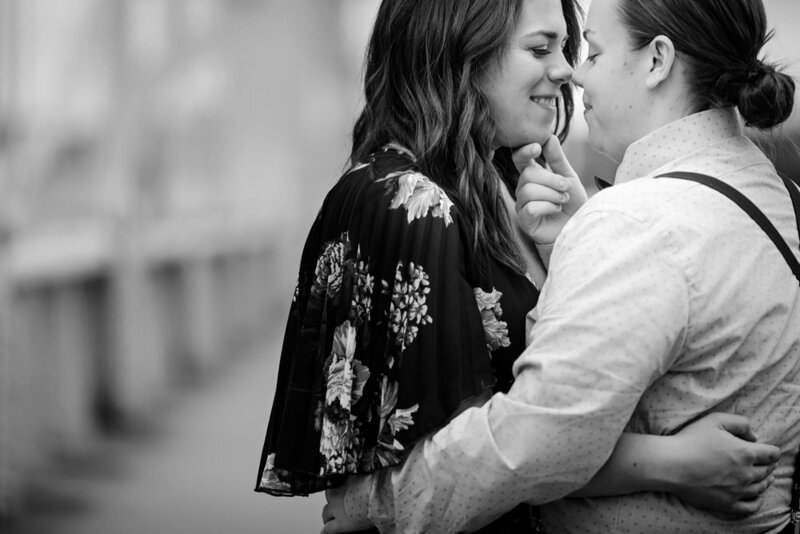 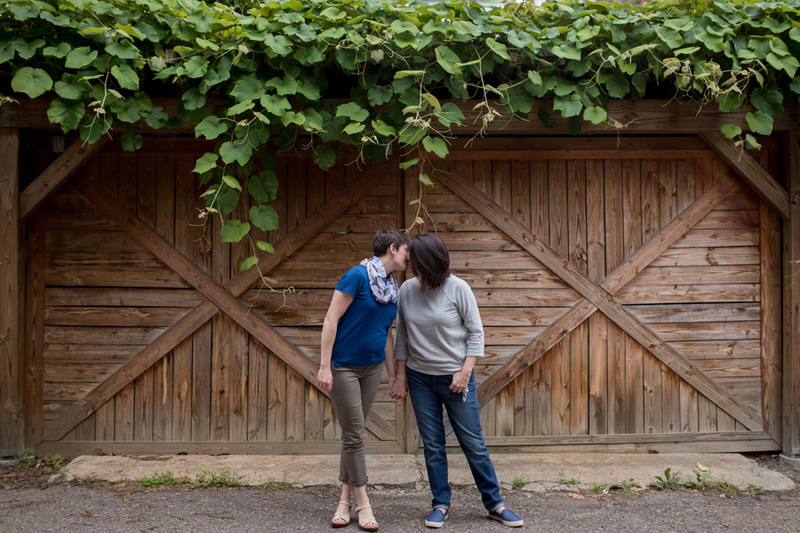 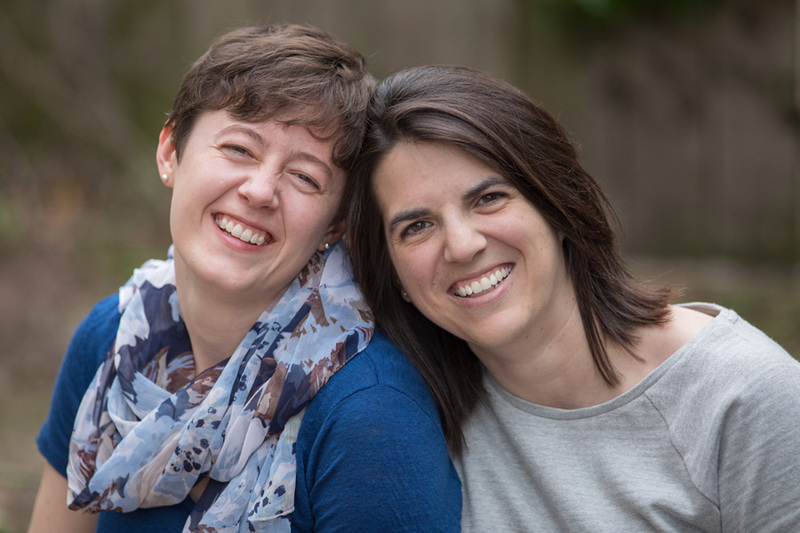 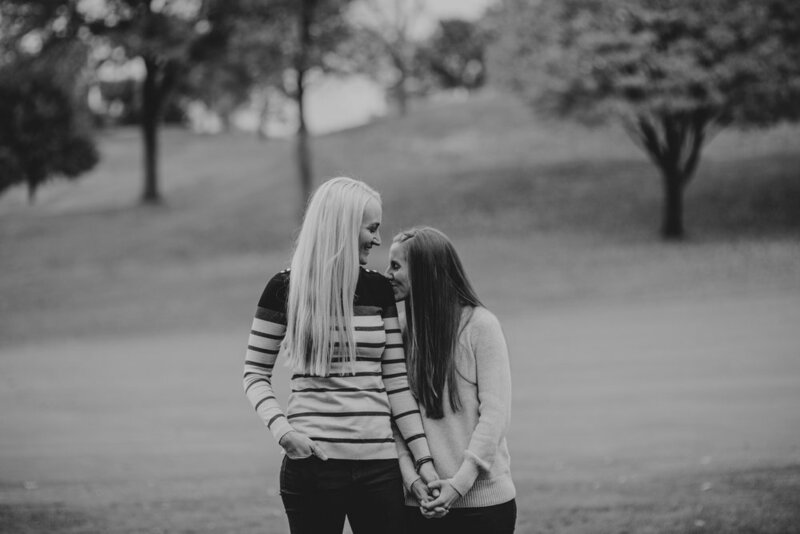 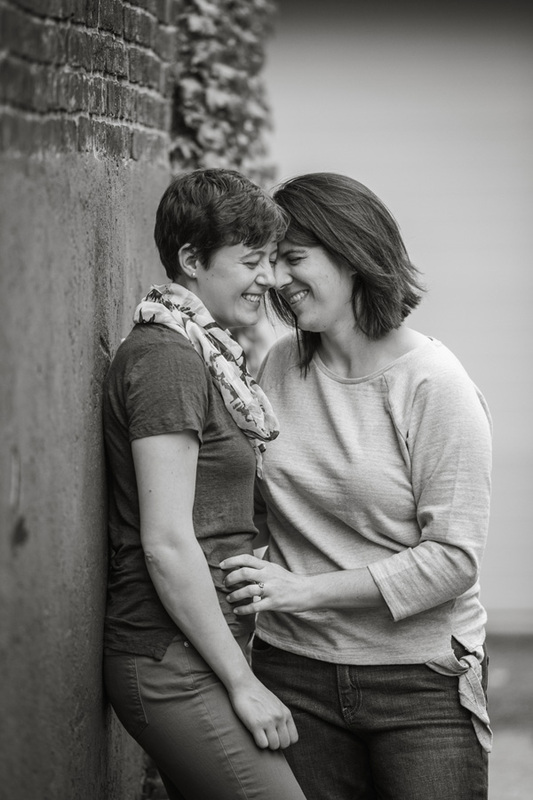 Brooke and Ellie had their engagement session around the Mexican War Streets in Pittsburgh's North Side neighborhood and as you can see, they were the perfect subjects. 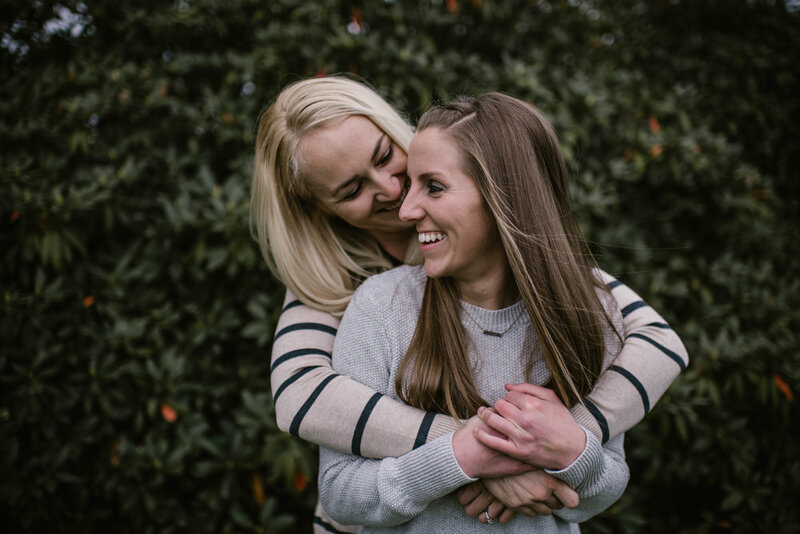 Congratulations to these ladies who are getting married this coming fall and a big thanks to Charlene for sharing!